In spring 2017, Four Roses changed the bottle design of their most popular bourbon. The new premium bottle that represents the quality of its contents is now available in the Czech Republic as well. The customary nickname for the regular Four Roses bourbon was „the Yellow Label.“ Due to the design refresh, that is no longer true. The new elegant bottle features a beige label that carries an embossed four roses symbol and the glass is brown-toned, similar to Four Roses Small Batch or Four Roses Single Barrel. The full product line now looks better when put side-by-side on display. „We decided to refresh the bottle design this spring, but many markets will witness the change later in the year. The original yellow label was replaced by a beige one, and the bottle color switched from green to brown. As a result, the new bottle possesses a more elegant and premium feel, and the full product line matches together nicely,“ explains the Master Distiller at Four Roses Brent Elliott. The content of the bottle remains the same, of course. 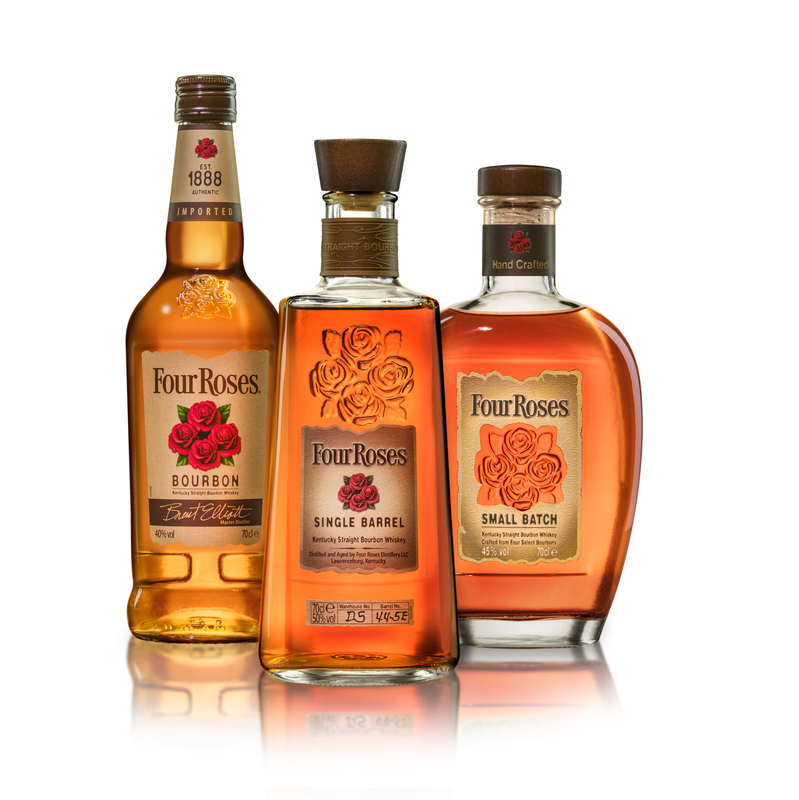 Four Roses bourbon is based on a combination of all ten recipes that the distillery knows and uses to this day. It mixes two cereal-based recipes with five types of yeast that results in ten variations of the distillate. Each constitutes a unique flavor profile, and the perfectly balanced Four Roses bourbon is achieved by careful selection and blending. 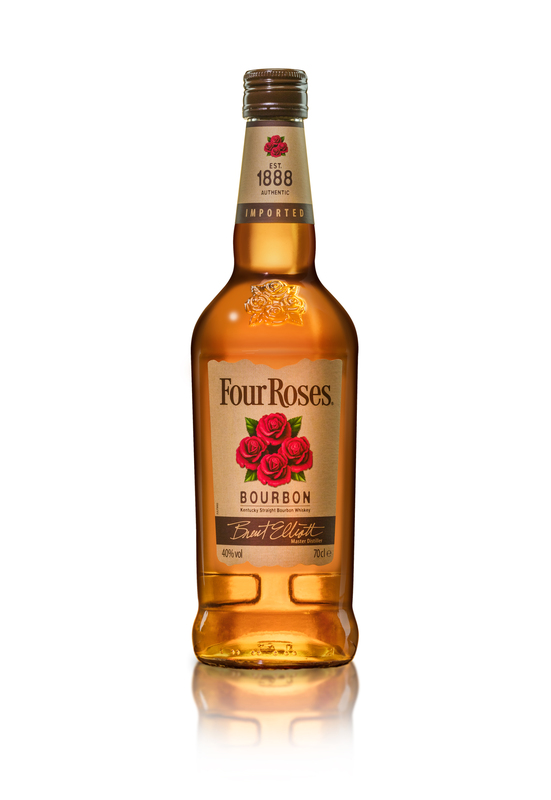 The Four Roses bourbon features a delicate flavor with a long-lasting finish. The aroma carries hints of pears, apples, and flowers, while the distillate delivers a honey and spice taste. The smooth bourbon is perfectly suitable for drinking clean as it is, but it compliments many classic cocktails such as Old Fashioned, Manhattan or Mint Julep. In the Czech Republic, Four Roses bourbon is available exclusively in 0,7l size and has featured the new bottle design since September.